Article writing is one of the most effective marketing strategies for a home business. Providing content for other websites or even print media gets your business information a wide distribution. Website owners and online media are desperate for content and are willing to post your unique, quality-written, relevant article on their sites. Having your content appear on other websites gets new eyes on your business. Having your material show up on other owners' sites suggests that you're an expert. You Might Get Paid Some blogs, and online magazines pay you to post your article. You can even pitch your article ideas to print magazines or industry newsletters, many of which pay as well. It takes time not only to write the article but also to find a media outlet to publish it. And with most media outlets now wanting original exclusive content, you can't distribute the same article to multiple places. Each place you'd like an article to appear needs its own original piece. You have no control over when your article will run, if the outlet decides to post it at all. There is no guarantee that people who read the article will seek out your business. The best way to entice readers to check your business out is through a quality article and promoting your lead magnet in your bio. Don’t think you can write? Yes, you can. The most important step to article writing is to get started. While a blank page or screen can be intimidating, once you have a topic idea, you should be able to jot down key thoughts. At this point, your goal is to gather ideas and write a first draft. Don't just think about what you know. Instead, think about what people want to know that's related to your business. This list can become your topic subheadings in the article. Next, write down the information readers need to know about major points. Then read and revise it to flesh out your ideas, clarify your concepts, and clean up the errors. One that includes a call to action for readers to grab your free lead magnet. It will appear at the end of your article. Pitch it to other blogs, websites, or media sources that target the same market that you do. People go online for information, and if you can deliver it to them, they'll want to know more about you. Focus on bringing value to your readers. Deliver information in a way that allows readers to visualize the outcome if they take action on your ideas. Find a unique angle or a good hook, and develop a conversation with your reader. You don't want to be completely informal, but you do want to come across as friendly, engaging, and approachable. Why should people care about what you're saying? For example, why should you care about writing a good article? (So what?) Because with a good article you can increase your reach and credibility, which can lead to more profits in your home business. Every word has to earn its keep, especially your headlines. The language can’t be boring and stiff. You aren’t trying to win awards. Instead, you're trying to entice and engage a reader who hopefully will then want to know more about your business. Keep the article exciting, short, and to the point. Write in a simple language. You want your articles to be full of information and content, but in words, the average person can understand. Your high school English teacher told you not to write using "you," but in marketing, that's the most important word. Remember, you want people to connect personally with what you're saying. Your article should flow and be easy to consume. Many online readers are scanners, which means long text can bore them. Instead, use paragraph breaks, bold type, numbers, or lists to break up the content into easy-to-digest chunks. Google's Panda update changed the effectiveness and ease of article marketing for search engine optimization purposes. Websites are penalized for poor quality or irrelevant content. In many cases, site owners will put no-follow attributes around your links telling Google not to pay attention to the link, thereby eliminating the SEO benefit. However, that doesn't mean article marketing is no longer effective. As already mentioned, articles can increase your reach and credibility. 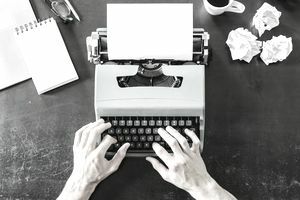 While article marketing might not have the same SEO boost that it used to, it doesn't hurt to consider it when writing your articles. You should integrate keywords in your article writing but always write for the human reader first. If an article is stuffed with keywords but has no human interest, it’s useless. Effective article marketing with search engines in mind requires a few good keywords and key phrases. These words and phrases should be relevant to the topic and the article context. These keywords and key phrases must appear seamlessly in the article and not disrupt the natural flow of the content. Don't Have the Time or Ability? Articles that you've written for your own business are always going to be the most genuine and authentic, but if you're strapped for time or don't feel the quality of your writing is good enough, you have a few options. PLR content can be a great way to get ideas and a place to start. Just remember to rewrite the content in your own words so that it's unique. If you need a set number of articles on a regular basis, you can post your writing job on a variety of writing sites, or you can search for writers on freelance sites such as Upwork. This approach can be cheaper than hiring a writer, while still keeping your authentic voice. Write your article and then hire an editor to clean it up.